How DO Singles Meet Each Other? A new way for singles to meet was profiled in the New York Times Sunday Styles section on July 4, 2010. This website, with a companion face book page, offers singles ideas, along with different opportunities, for meeting up. Want to meet another single for a tarot card reading? How about at a volleyball net? Want to meet at a local museum? Interested in joining a local scuba club? Sign up and meet other singles with the same interests and ideas. This website, howaboutwe.com, which launched first in New York City, has singles suggest activities by completing the phrase How about we…, and users are sent possible matches based on their activity preferences. Get to know others who like to do some of the same things that you like to do in an easy and casual way. Come back and share your comments and ideas with others. We would love to learn about your experiences. Worry about how to talk with someone that you do not know well? Want to meet other people but the idea of attending an event, especially if you are alone, scares you? Want to get to know that interesting looking man or woman but do not know how to go about beginning a conversations? Here are some tips for good ways to start a conversation. 1. Get to a gathering early so there will be fewer people there. Look for one or two people who are alone and begin the conversation by sharing your thoughts about the gathering. Ask the other person about what made him/her decide to attend, how he knows the host or hostess or what his connection is to the event. Listen carefully and ask good follow-up questions. 2. The weather is always a safe beginning. You can follow it with one fact about your favorite season, what you love to do in this weather or some other piece of information about yourself. Then ask the other person to share one of his or her stories about the same question. 3. At a networking or work-type of gathering? If so, ask how the other person landed the job that they have. Find out about the search and what made them attracted to that job. 6. Mention a current event. Some people choose not to talk about controversial issues or events, rather look for an interesting news article that might stimulate some conversation.7. The easiest and generally best way to begin a conversation is to remember that people generally like to talk about themselves. Most also feel flattered if you seem interested in them and their lives so any question that you ask another about their lives, work or family will be flattering and take much of the conversational responsibility off your shoulders. How DO You Meet Someone To Date? We meet many people who are lonely … or just interested in finding a romantic partner. The question, of course, arises about WHERE do you find them … if you are no longer young enough to still be in school and most of the people who are in the accepted dating range do not comprise a large pool. There are some of the obvious choices, church groups, activities, business meetings, wherever people are gathering … and one of the best, through mutual friends. Many today are also branching out into the on-line dating services and these can work quite well for many. We will write more about this in another spot. The most important thing to remember is to present yourself as someone who is open to meeting others and possibly dating. Make eye contact with other people … women and men. Practice small talk with people in natural spots like grocery lines, doctor’s offices, bookstores, your children’s ballgames, etc. Ask questions about other people and become interested in what is happening with them in their lives. Reach out to others by inviting them to do something with you or just phone to say “hello”. Interview everyone that you can about how they met their partner. You may find some unique and interesting ideas for what to do to meet someone that you want to spend time with. Consider setting a few goals for yourself each week that would put you in a spot to meet someone and practice one socializing … even possible flirting … behavior. I am going to share with you some of the places that our friends met and invite you to visit our blog and add ideas of your own. In each of these instances, the couple became friends before romance developed. Sam and Lisa, both scuba divers, met at a local dive club. Ann and Jerry met at a professional organization. Tom and Sara met through a local service organization. Steve and Andrea met while both were walking their dogs in the park … and started talking after nodding and greeting each other several times. Martha and Bill met at their son’s baseball games. He was the coach and she was a very involved mom. 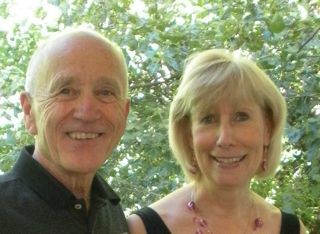 Doug and Marsha met at a local ballroom where they were both taking ballroom dancing classes. How did you meet your partner? What creative ideas have you heard about?